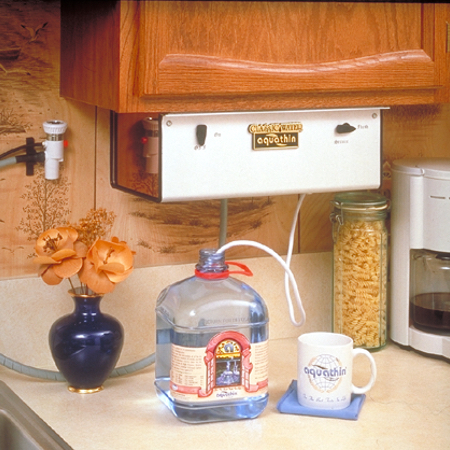 Aquathin is pleased to present the Space Saver 90 Water Purification System. The classic stainless steel and mirror like ends compliment any kitchen. Includes the same efficient process found in the Aquathin Kitchen Top models. Great for smaller kitchens and RV's. Please click the Product Catalog button below for more information on Aquathin's Space Saver 90 System.